Music for "The Stavig Letters"
The Norwegian folk music in The Stavig Letters was performed on the Hardanger Fiddle by Ingvild Habbestad and recorded on April 11, 2010 by Trond Kjelsas in Kolborn Church, Oslo, Norway. 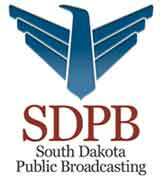 All other music used in this program was from American Music Company and DeWolfe Music of New York City. All Rights Reserved under respective copyrights. 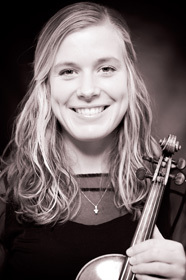 Ingvild Habbestad (1983 - ) has a masters degree in violin performance from the Norwegian Academy of Music in Oslo and an Orchestral Diploma from the Royal College of Music in Stockholm. During her studies she received scholarships from the philharmonic orchestras in both cities. From 2008 she has been employed at the orchestra of the Norwegian Opera and Ballet, and from 2010 she has a full time position in both the Norwegian Radio Orchestra and the Oslo Philharmonic Orchestra. At present she is in the rare situation of having to choose between the three of them. Eight summers in a row she toured the USA with The Habbestad Ensemble, consisting of her twin brother, her sister and her parents, and she frequently gives concerts on a freelance basis. Apart from the violin, she also plays the Norwegian national instrument, the Hardanger fiddle, and the viola.